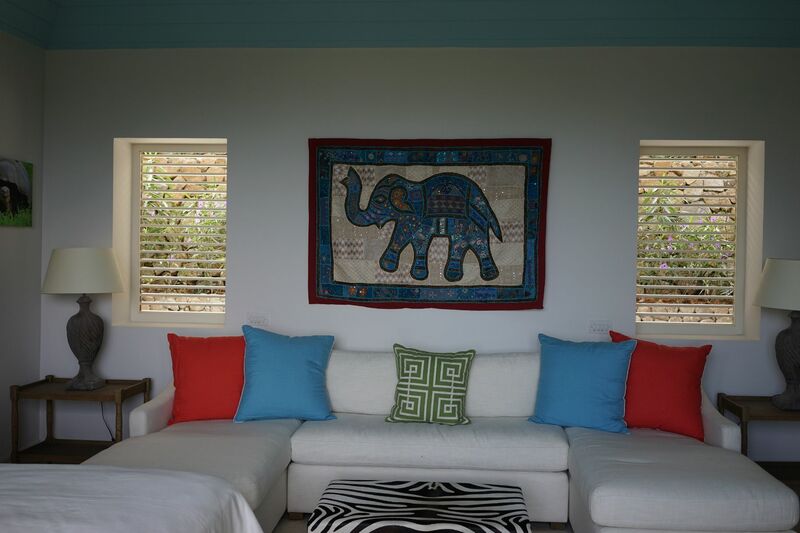 For more information, visit the Mustique Company Website. 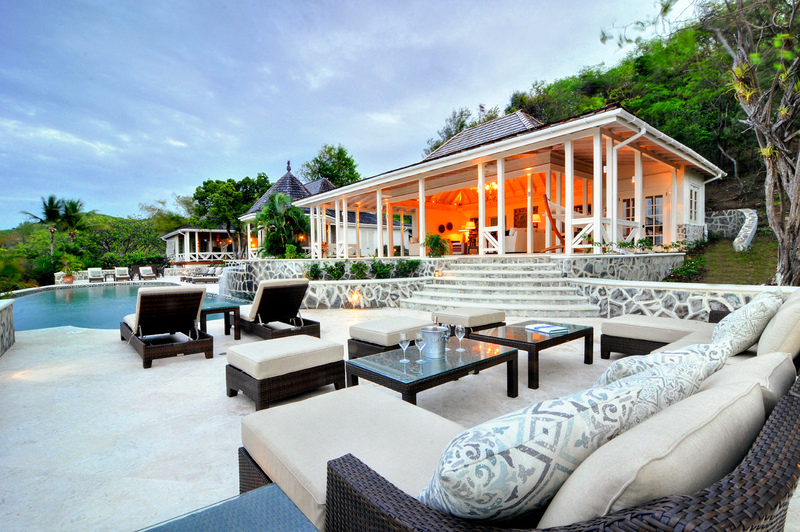 The easiest way to get to Mustique is via St. Lucia. Many airlines have regular direct services, including American, Delta, Jetblue, British Airways and Virgin. It is also possible to fly via Barbados, but there isn't a daily connection (other than by private charter). Please check before booking your longhaul travel. The scheduled service costs approx. US$250 each way. 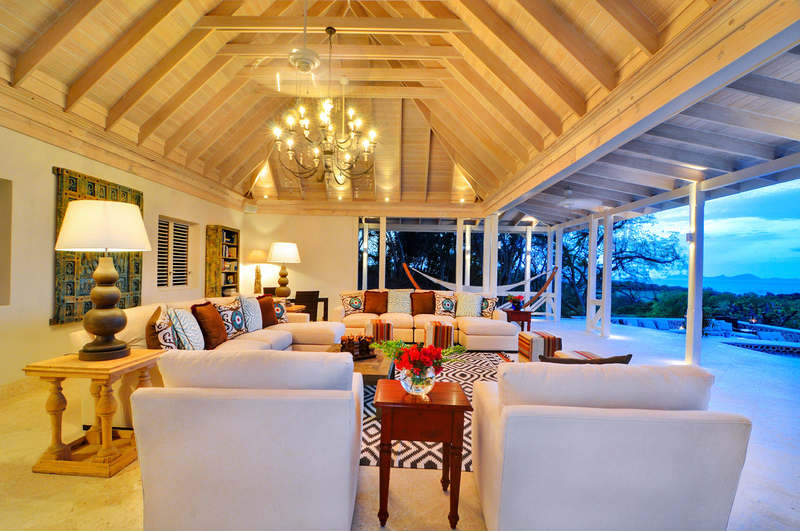 To arrange the connection flights, you should email Antoinette at the Mustique Company (airport@mustique.vc). Please note that planes cannot land on Mustique after sunset. Once you arrive at St. Lucia, follow everyone into the arrivals building. Here you will see someone with your name on a board. Once you have passed through immigration, you will collect checked bags, and give these to the liaison agent to put on the connecting flight. At St.Lucia, you will also normally clear Mustique immigration and customs, allowing you to avoid this step in Mustique itself. 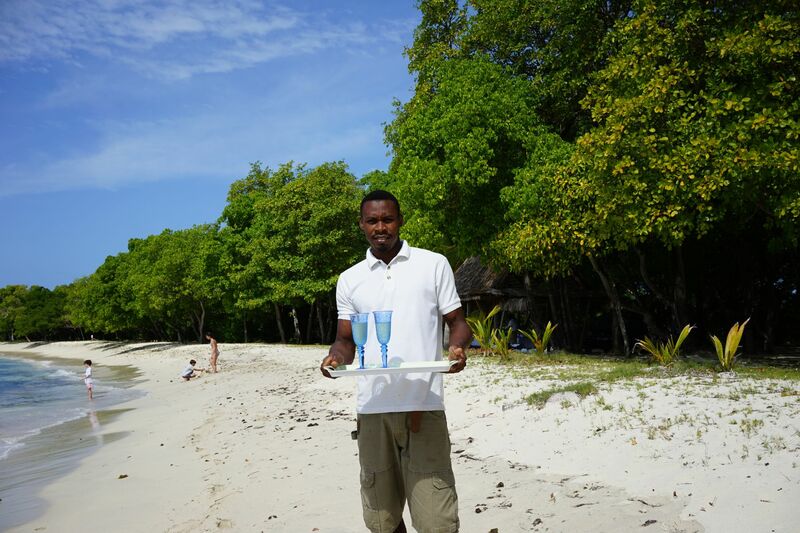 When you land in Mustique, our staff will be waiting for you. Remember to get a driving licence at the Immigration desk (currently US$25). If for any reason, nobody is there, dial the house on 8367/8567. Dress is always casual and you will rarely, if ever, need to wear a sweater and certainly not a jacket. Beach towels are provided in the house. We keep a variety of board games, DVDs, suntan cream, etc. It is a good idea to keep a change of clothes, toothbrush, medicines, etc. in your handluggage, in case your checked bags don't make it all the way to Mustique with you on the same flight (this happens rarely, and bags are usually reunited with owners within 24 hours). Fisher house has two Kawasaki mules for guest use. The staff will be happy to show you how these work, and also to collect an island map from the office for you, or feel free to pop in yourselves. The office is directly opposite the airport parking area. The majority of our provisions are ordered on the mainland of Saint Vincent although there is also an on-island grocery store and fish market. 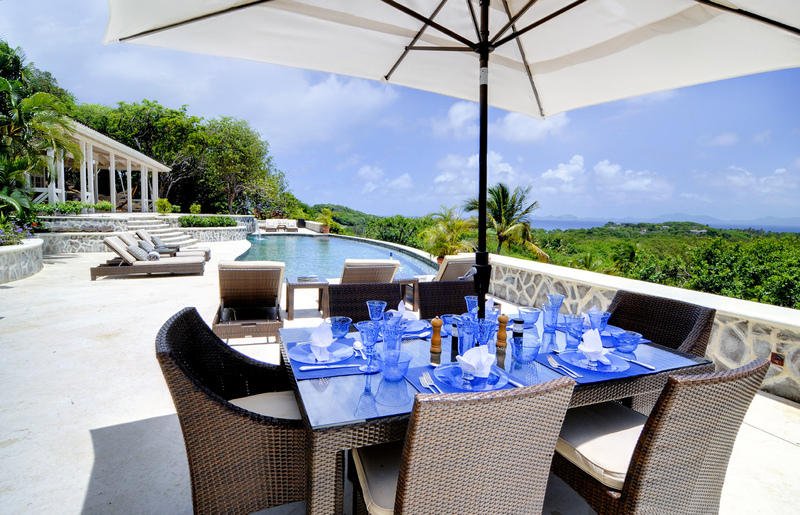 Food and beverages can be pre-ordered prior to your arrival and menus, special dietary requirements and requests can be discussed before your vacation with the Villa rentals office. 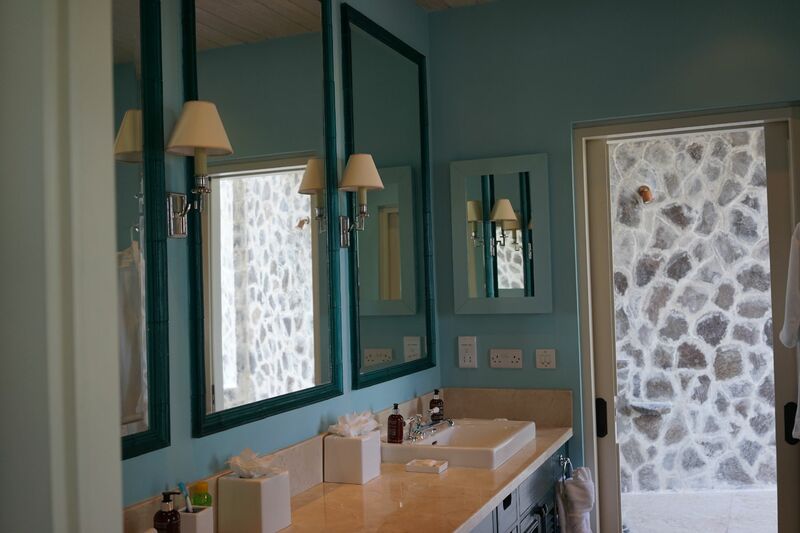 Order lists for food and beverages can be sent with your booking confirmation or alternatively you can wait until your arrival and discuss your preferences with the chef or the butler once on island. All shopping and food and beverage orders will be collected by your villa staff on your behalf and every effort will be made to meet your requests. Sample menus are available on request. Good quality wines and spirits are available from Gonsalves in St. Vincent. Their stock can be viewed at www.gonsalvesliquors.com and they accept email orders (orders@gonsalvesliquors.com). Do not send credit card details by email - it is best to fax (+1 784 456 2645) or phone +1 784 457 1881. 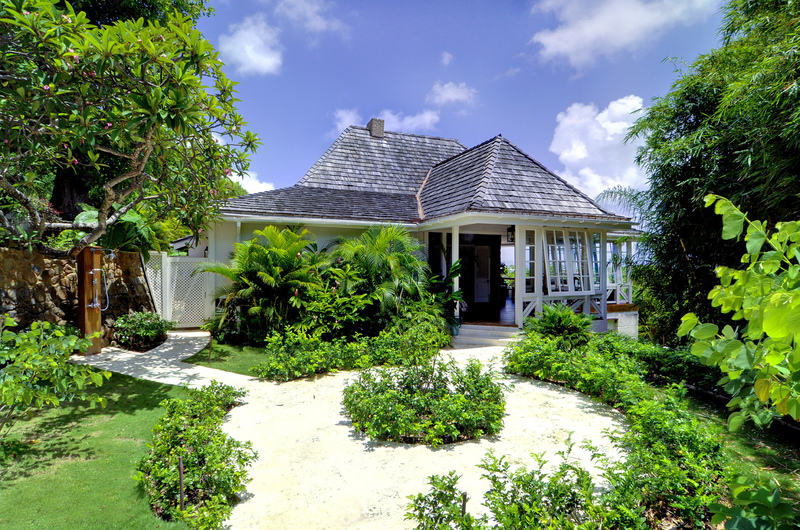 Fisher House has a magnificent open Great Room, overlooking the north side of the island, an en-suite Master Bedroom, two other en-suite bedrooms, a dining gazebo (as well as an indoor dining room, if it is too wet or windy), kitchen, office and media room. The house is avaliable as a 3 bedroom or 5 bedroom option (including the extra guest cottage which is located a short walk up some steps on the hill above the main house). 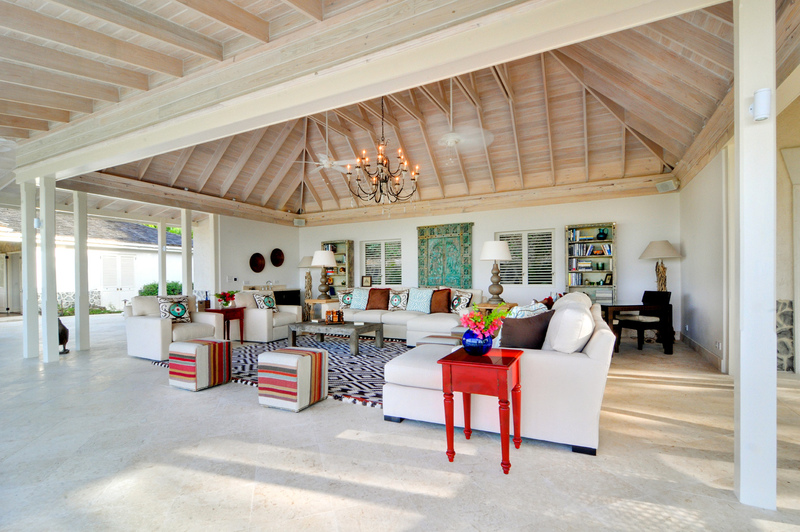 Fisher House features typically Caribbean indoor and outdoor living and dining areas. There is a large, open Great Room that overlooks the pool, a dining gazebo that seats up to 10, an indoor dining room that seats up to 8, a media/tv room with comfortable daybeds, a small air-conditioned office, and a large outdoor seating area adjacent to the indoor dining room. 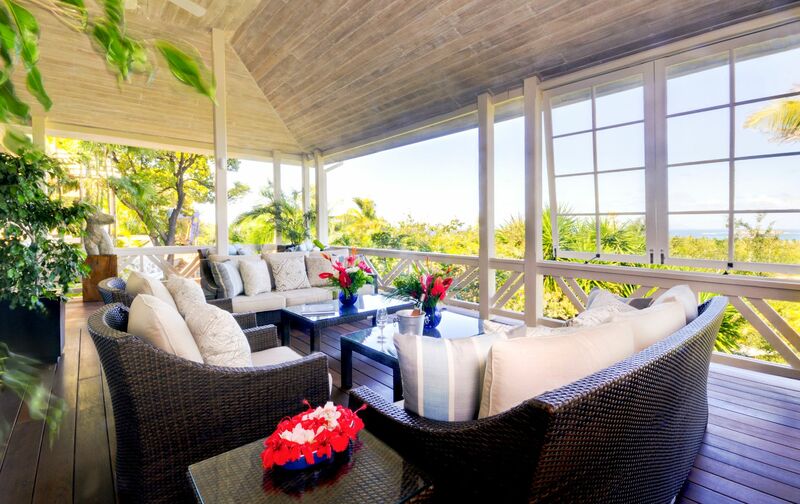 The wide wrap-around verandahs, Great Room and gazebo all have fabulous views towards St Vincent and Bequia. 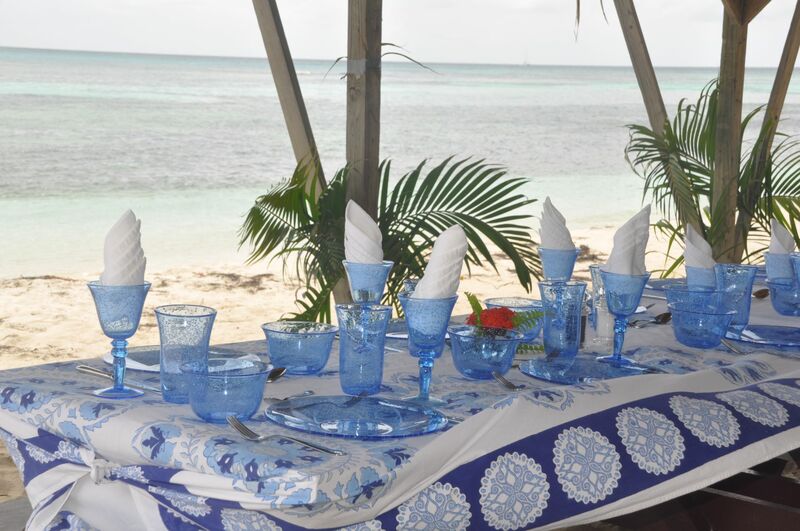 The house has an excellent Cook and four additional staff, who are extremely welcoming and will take care of all your needs while on the island -including magical beach picnics. 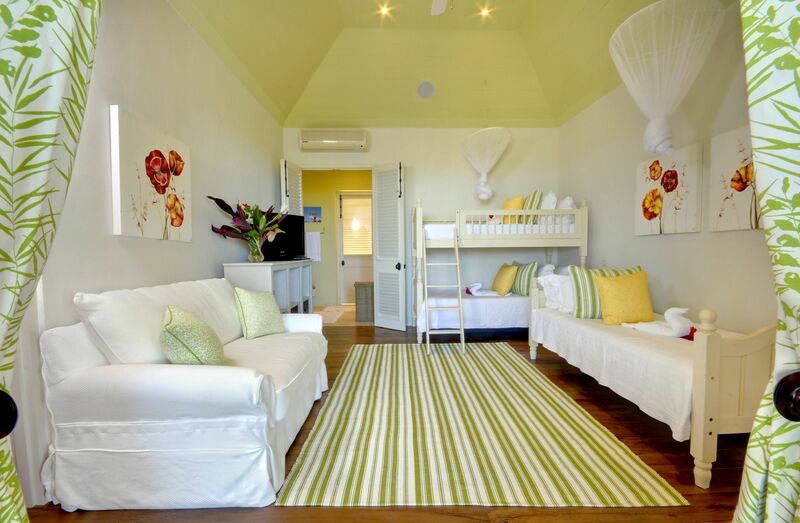 Three spacious bedrooms with brand new en-suite shower and dressing rooms (one king bed, one queen bed and one room with twin beds or two twin bunks for up to four children). 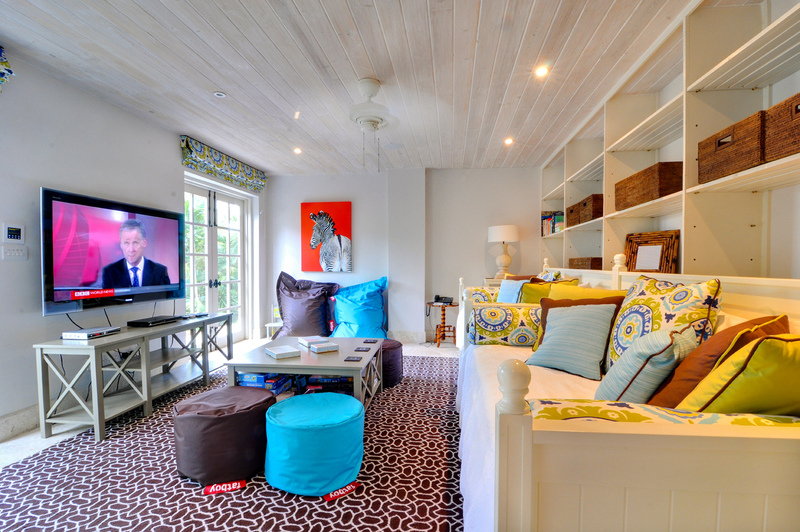 All three bedrooms feature outdoor garden showers, and the master bathroom has a large roll-top tub. 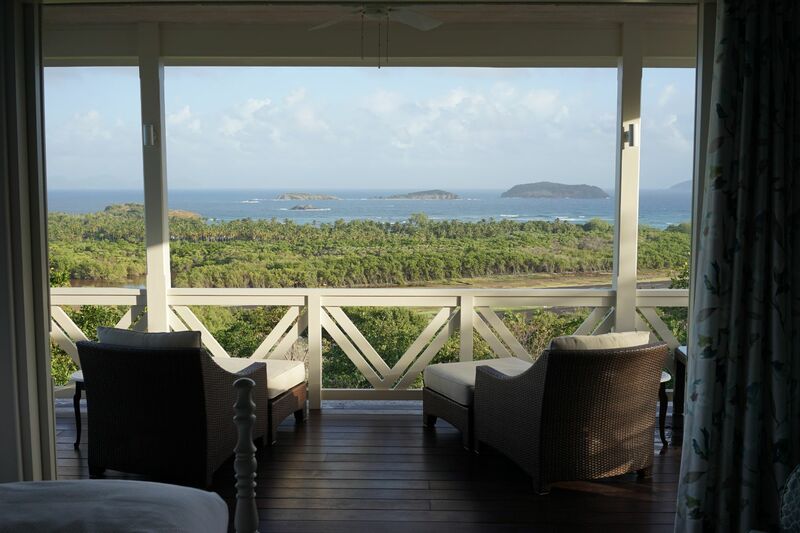 2 bedrooms with identical floor plans, including large verandas with spectacular views towards l'Ansecoy Beach and nearby islands. 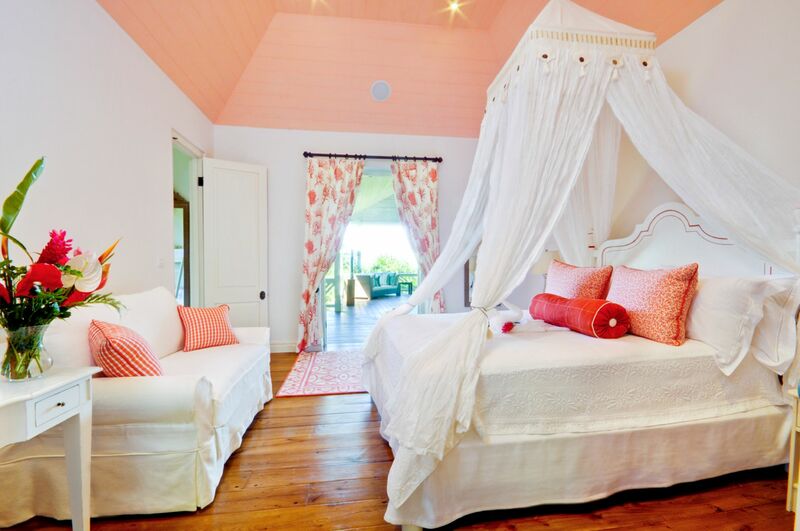 The upper bedroom also features a small deck and plunge pool. Both rooms have double outdoor showers, spacious dressing rooms with a butler's pantry including fridge and coffee machine. The upper room also includes an indoor shower, while the lower has a large roll-top tub. 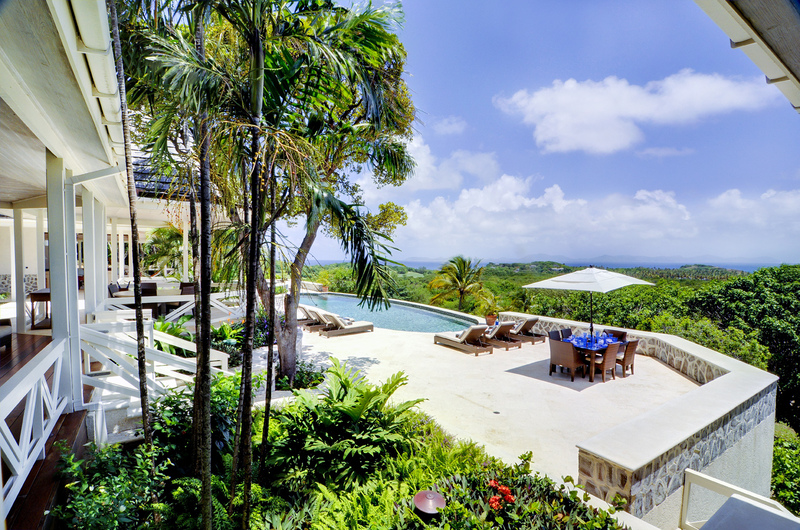 Mustique, steeped in history and surrounded by intrigue, lies in the stream of islands of St Vincent and the Grenadines just a hundred miles west of Barbados and fifty miles south of St.Lucia. 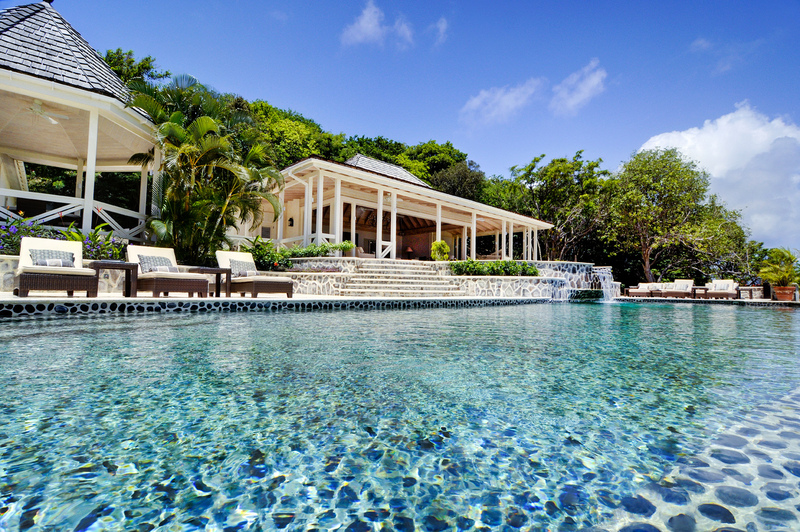 The island's gentle year-round climate and natural beauty of rocky headlands, dramatic hilltops and pristine palm fringed beaches, combined with the most exclusive collection of villas anywhere in the world, make Mustique a truly unique private idyll. 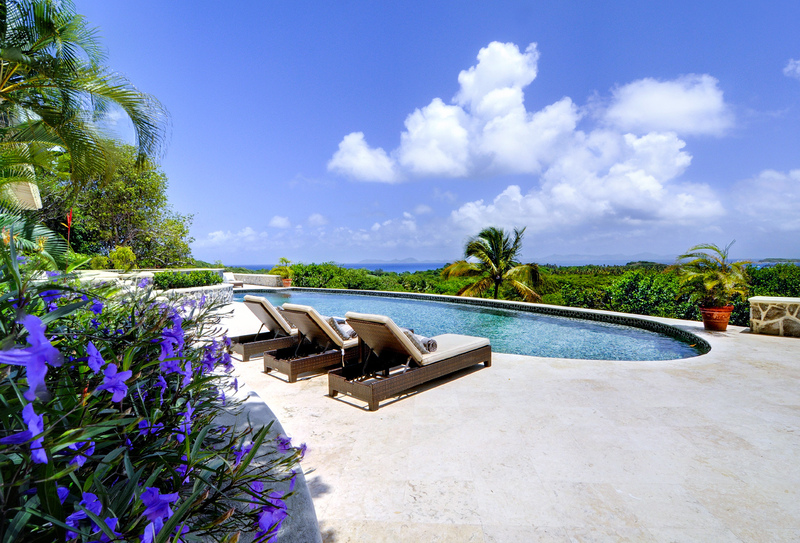 For generations, those who have visited Mustique have been captivated by the unique sense of island life; where you can enjoy the ultimate in luxury villa living with the privilege of being on your own private tropical island. 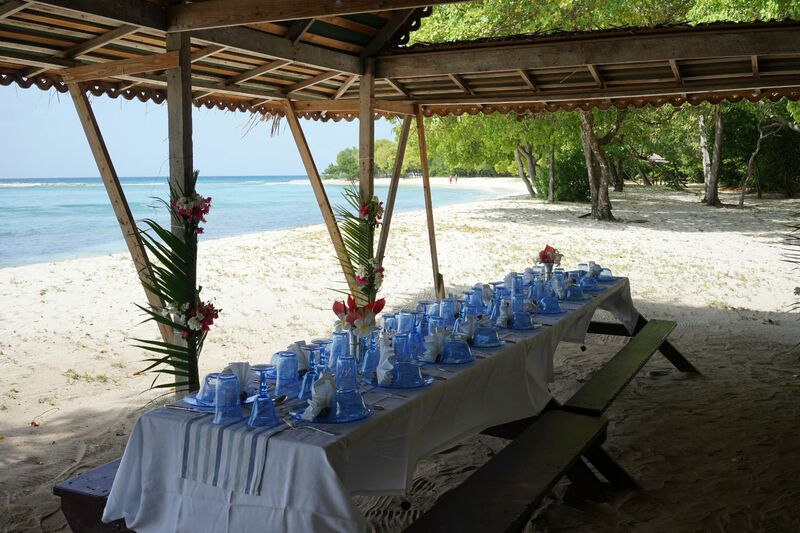 There are not many rules on Mustique, no protocol or expectations. Guests can simply do as they wish. 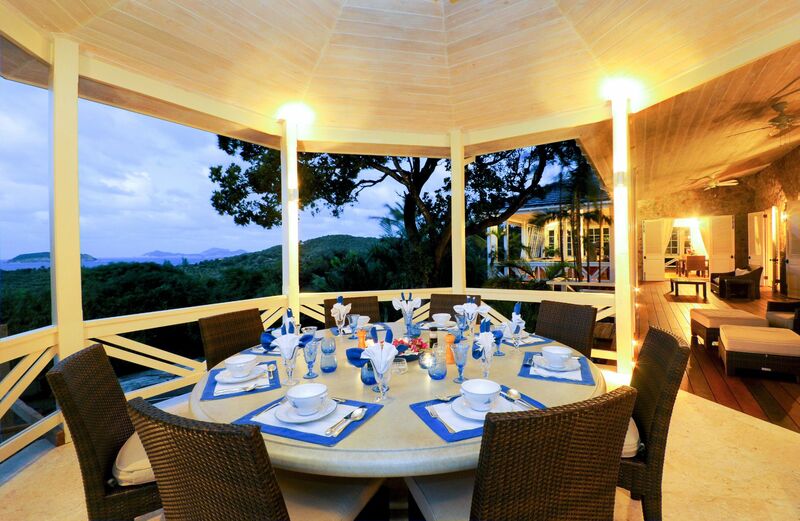 Enjoy the privacy of your own villa, or the legendary house party atmosphere at The Cotton House, when fellow guests get together to enjoy anything from a gastronomic dinner, a cocktail party, to a beach barbeque, or Jump Up at Basil's. 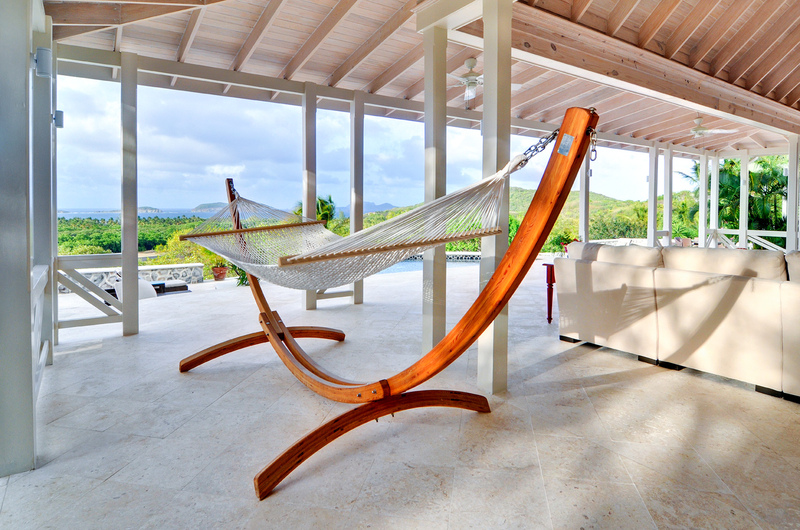 On Mustique, anything goes. 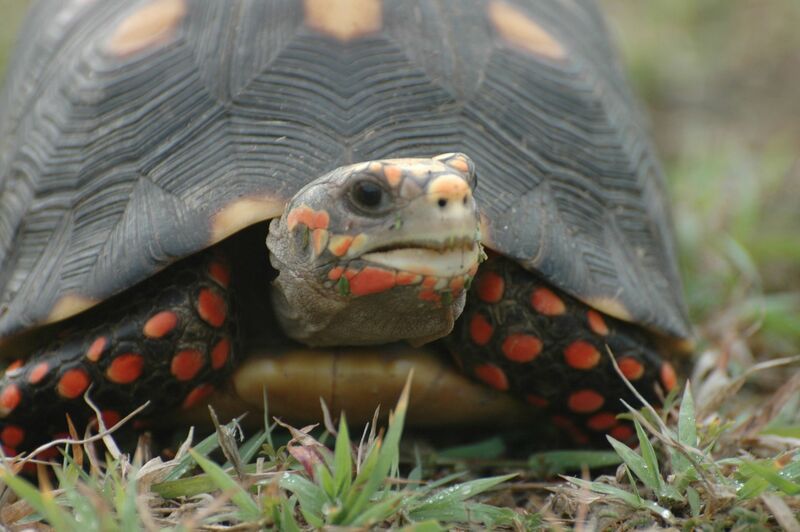 Explore the island at your own speed, where a whole host of experiences await; from swimming and scuba diving in the jewel coloured waters, to sailing and snorkeling with the turtles at nearby Tobago Cays. 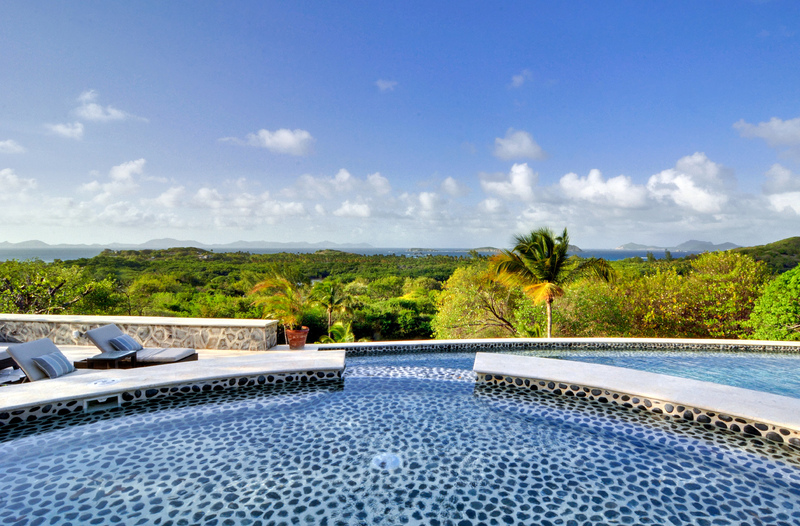 Onshore, choose from riding horses along the beaches or honing your tennis skills at the renowned Mustique Tennis Club, or indulge in a world-class spa treatment. 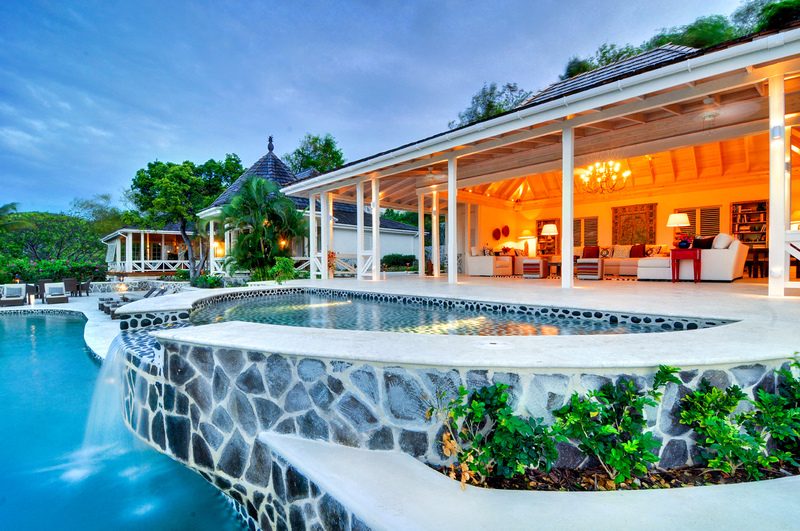 Mustique is a popular family destination. The island's intimacy and security allows teenagers plenty of freedom to move around, whilst there are numerous activities and an excellent childcare service for younger children, ensuring parents have the opportunity to relax and unwind. 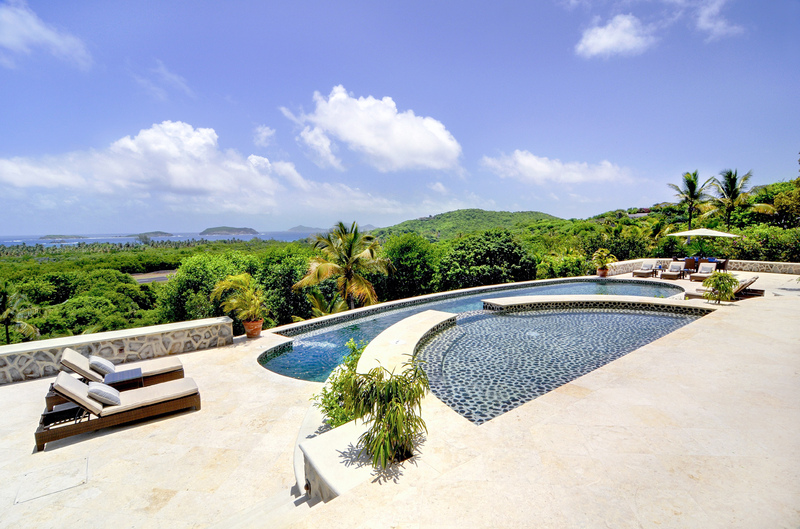 Whether enjoying a family break, a week away with friends, celebrating a wedding or honeymoon, or just getting away from it all, Mustique has something for everyone. Many visitors are so charmed by island life, the unequivocal hospitality and friendliness of the staff and the sense of wellbeing this holiday island gives them that they fall under its spell, only to return every year. As legends go, the “The Aristocrat, the Princess and the Rockstar” is pretty good, only this wasn’t a legend, it was true. Over fifty years ago Lord Glenconner, Colin Tennant, arrived on Mustique and bought the undeveloped island for just £45,000. There were no roads, no jetties and no running water. Lord Glenconner’s initial ambitions were to see his new estate thrive as a cotton plantation, however his plans were not successful and he looked for other ways to develop the island. 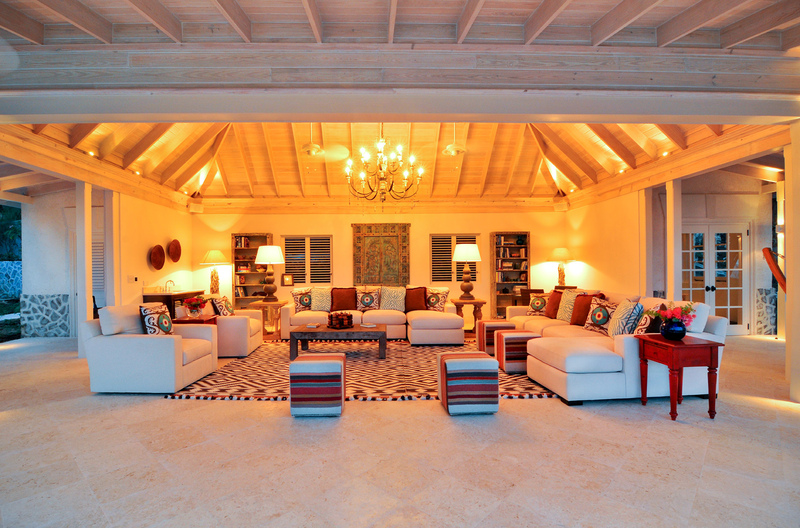 Having given his good friend Princess Margaret a plot as a wedding present in 1960, there was considerable media interest in Mustique as a destination and in 1968 he formed the Mustique Company to develop a private island hideaway. Two architects helped shape the island during its formative years; Arne Hasselqvist, a resourceful construction engineer from Sweden, and Oliver Messel, a leading British theatre set designer who had developed a reputation for the flamboyant and original houses he had designed on neighbouring Barbados. 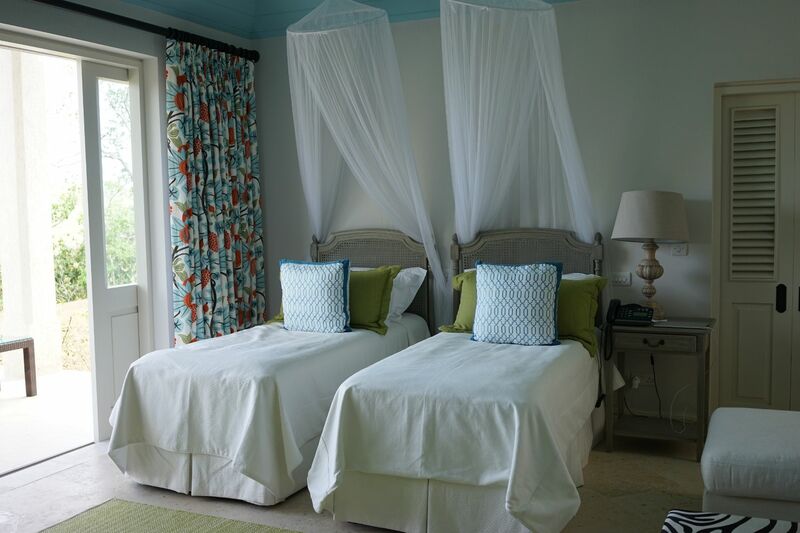 Their first project was to convert the old cotton warehouse into a small hotel, The Cotton House, and to establish a design concept for the island as a whole. The idea was for the island to be split into plots and sold to shareholders who would invest equally in the island. The Mustique Company which was subsequently formed limited the number of development plots and shareholders to a hundred and twenty. 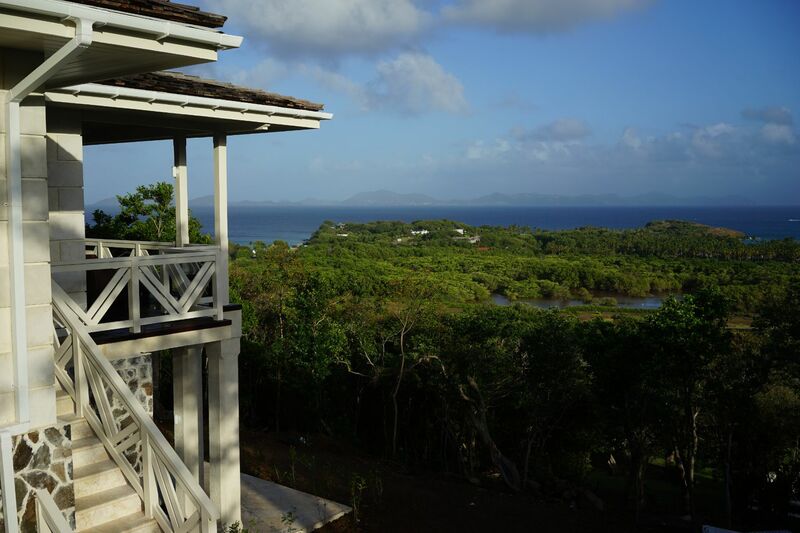 This was not only to preserve the island’s character but to retain exclusivity and prevent over-development. 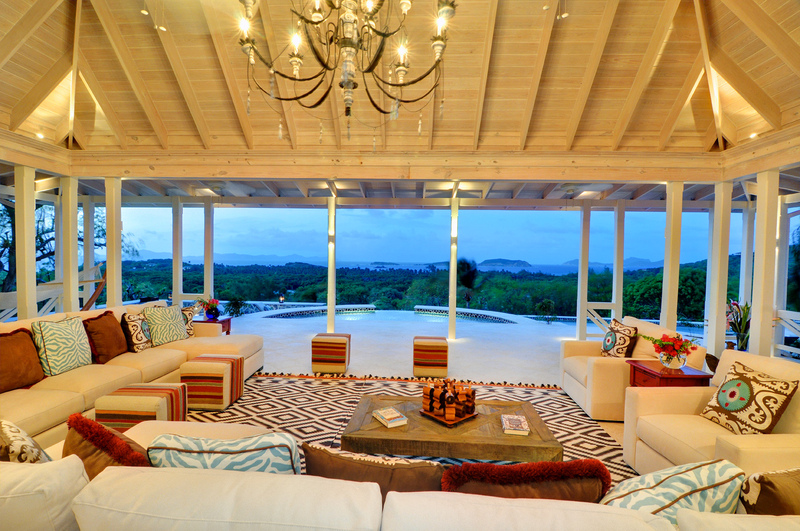 Plots were bought by an eclectic group of socialites, rock stars, designers, and artists and private individuals brought together by an overriding desire to be part of something unique. 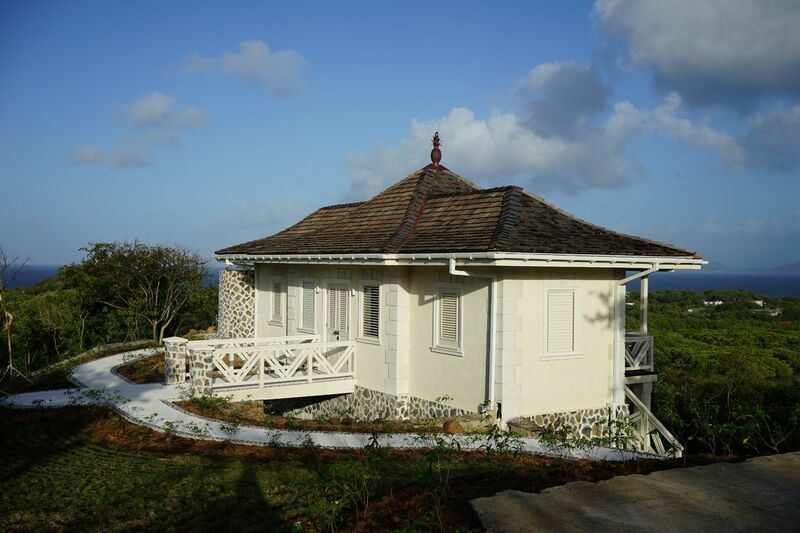 There is a small museum situated in The Old Sugar Mill adjacent to The Cotton House whose collection of interesting photography and artefacts catalogues the story of Mustique and how ultimately, it was the vision and work of Tennant, Hasselqvist and Messel that created the blueprint that is Mustique today. 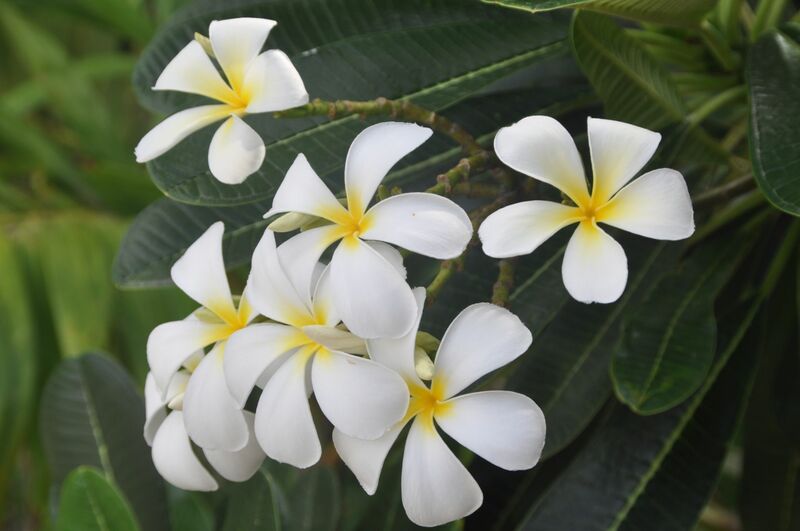 Experience Mustique…. do as much or as little as you wish…. For a small island there is a lot to do. There are a host of activities for those seeking them, from scuba diving and sailing, to tennis club and exploring the island on horseback. Try the extreme sports of kite-surfing or deep sea diving and fishing, or take a more gentle approach, with a gentle snorkel in the many hidden coves around the island followed by a nurturing spa treatment. Children are indulged with a host of fun activities, with water sports galore, drive-in cinemas, tennis, pony camp, beach picnics and treasure hunts, kite flying competitions and children’s menus everywhere. 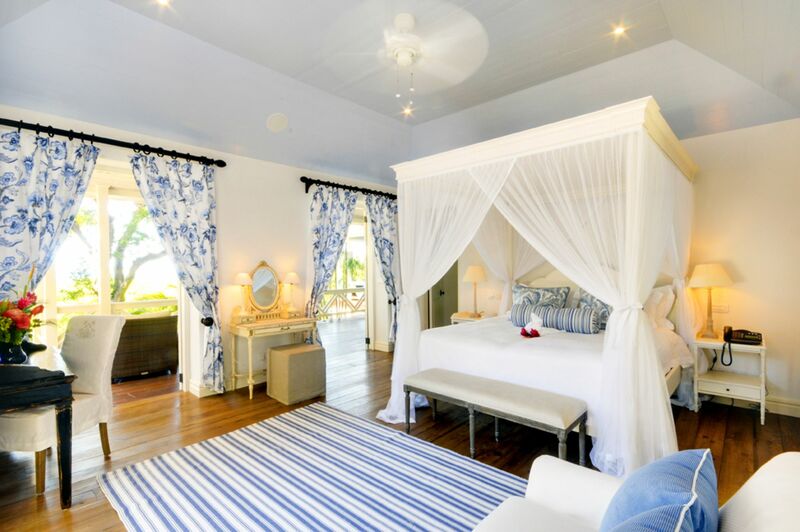 Mile upon white sandy mile of pristine private beach, and warm turquoise waters combine to make Mustique a supremely private and blissful haven for anyone looking for the perfect holiday destination. 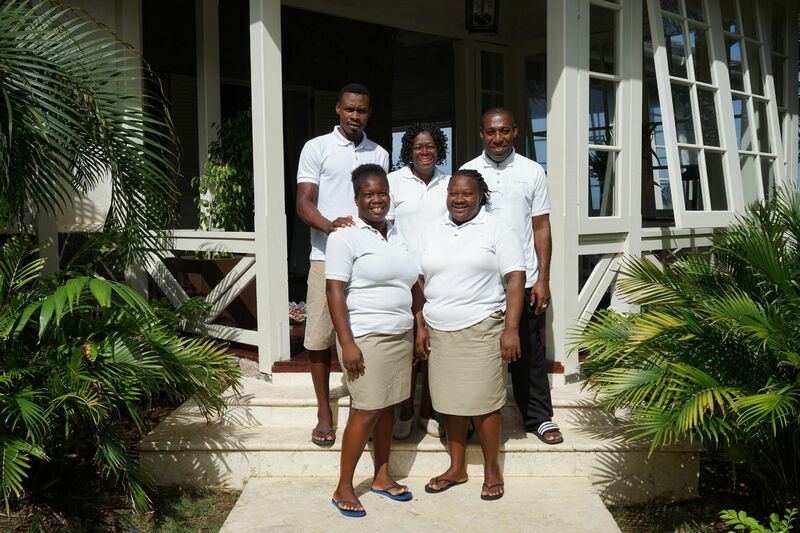 Our wonderful staff, Glen (Cook), Dawn (Butler), Calroy (Gardener), Shakel and Keitha (Maids) will take care of all your needs during your stay. Please discuss with Glen and Dawn any speciific needs that you have - menus, picnics, special occasions, etc.